The Canadian Society for Creative Leathercraft (CSCL) is a group of leather crafters dedicated to creating beautiful leather articles, teaching the craft of leatherwork, and promoting learning! We were founded in Toronto, in 1950. Charter members wanted to create a clearly Canadian organization of crafters. We are inspired to promote the beauty of leather along with excellent craftsmanship and unique design. We now have three guilds in Ontario (Mississauga, Hamilton, and Norland), and we have members-at-large across the country. We host an Annual Event/Meeting, where all members are able to meet, submit articles for judging, discuss CSCL issues, and share a great Annual Members Banquet. Following judging of leather articles, the prizes and award ribbons are given out for exceptional pieces! The Membership year is from April 1st to March 31st. The membership fee for a year is shown below. If you join after Oct. 1st you pay half the membership fee. Individual interested in leathercraft who does not belong to one of the CSCL Branches. (Need not be a leathercraft person) shall pay $40.00. Is Commercial Organizations interested in supporting the Society shall pay $100.00 or supply material equivalent to $100.00. CSCL members are encouraged to support these Sustaining members. Members can try for their Associate and Fellows levels. Associate Membership Level is one level up from a General Member. To attain this level of membership in CSCL, a general member in good standing, must submit 4 articles of leathercraft for judging. Certain criteria exist for the articles, which must be met, prior to Associate status being granted by the Board of Selection. Fellow Membership Level is one level up from Associate Membership. An Associate member may apply to become a Fellow by submitting 4 articles of leathercraft for judging. Again, there are certain criteria, which must be met. In addition, a Fellow candidate is expected to serve the CSCL. Service could be by accepting an Executive position, by demonstrating and sharing leather skills, by contributing to the “Canadian Leathercraft” newsletter and by helping judge at CSCL events. Once all of the aforementioned criteria are met, Fellow Status may be granted by the Board of Selection. The Canadian Society for Creative Leathercraft has three guilds in Ontario, and members-at-large across the country. Our individual guilds usually meet monthly, to discuss and learn together. Members are encouraged to bring the pieces that they’re working on for advice and tips from all. 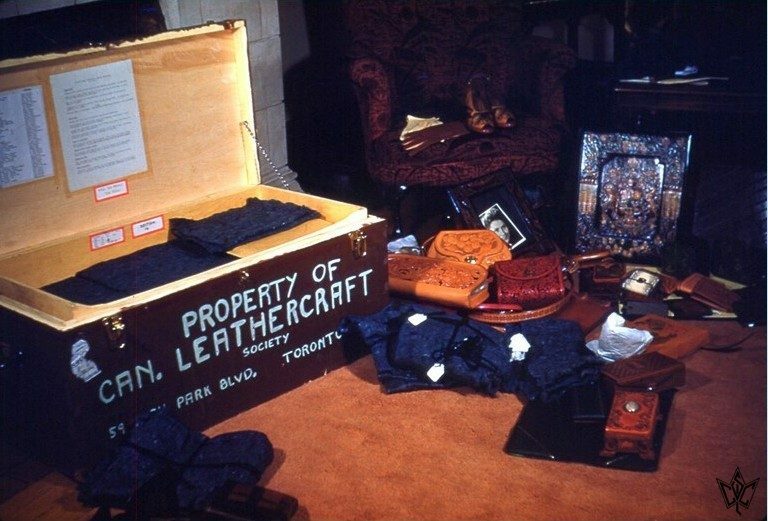 The Mississauga Leathercraft Guild meets the first Wednesday of every month. Tandy Leather provides a place for those who like to do leatherwork to gather and work on projects and exchange ideas and share skills. Customers who wish to learn leather work are welcome to come for instruction at no cost. They must, however, provide their own tools and leather. The basic skills of stamping, carving, tooling, edge finishing, hand stitching, and lacing are taught. More advanced techniques and dyeing are taught as well. There are presently no scheduled classes. People are taught on an individual basis the projects they wish to do. Paul Kitchener is the official designated instructor and resource person. Although, many members of the CSCL & MSCL are present and also assist with students as they work. We all learn from each other. The Hamilton Leather Guild meets the second and fourth Wednesday of every month. Our group enjoys meeting and working on (and discussing) our own individual leather projects. We strive for excellence, and have one fellow member as a mentor, who will always provide insight and assistance. In the near future, we hope to post a list of topics for upcoming guild meetings. We encourage you to come to a meeting and see what you think! Please contact us if you have any questions about joining the Hamilton Leather Guild. The Norland Leathercraft Society meets the 3rd Saturday of every month (with the exception of long weekends – they wait until the Saturday following the long weekend). They focus on techniques and projects they might be working on. They have an annual barbeque in June, at one of their members’ houses, and they have an Annual Spaghetti Dinner in September. 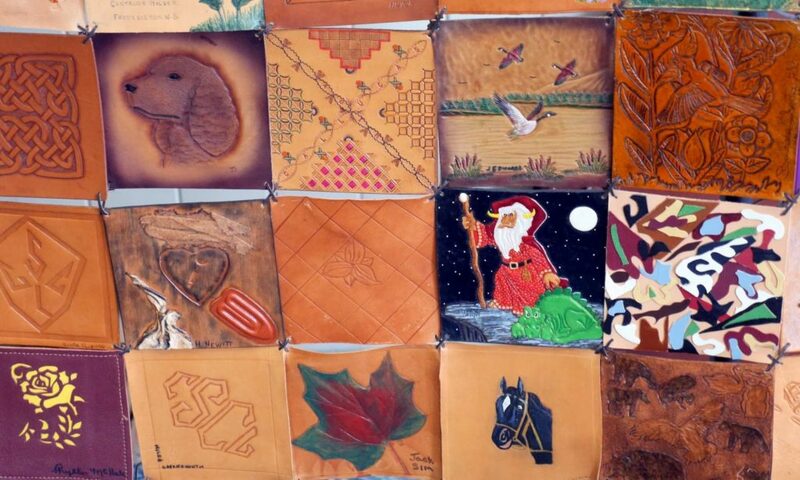 The Canadian Society for Creative Leathercraft has Members-at-Large all across the country and international. Our Members-at-Large are encouraged to attend our Annual Convention Weekend.